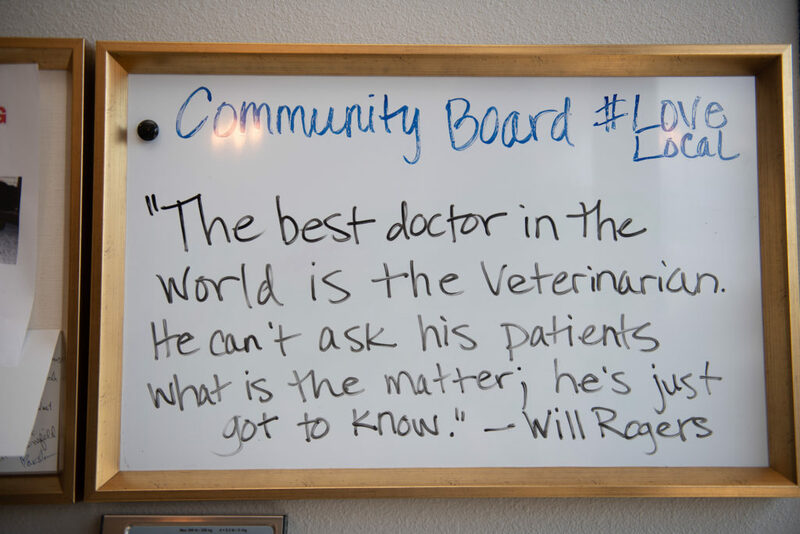 I recently visited Dallas Veterinary Clinic located at 6125 Sherry Lane, Dallas, TX. Dr. Ashley Priddy, his wife, Ashley Priddy, and his amazing staff were kind enough to invite me for a visit. My sweet golden retriever Pearl, and her adorable half sister, Hazel joined me on the trip to check out their newly remodeled clinic, which is designed to make your family pet happy, and safe. 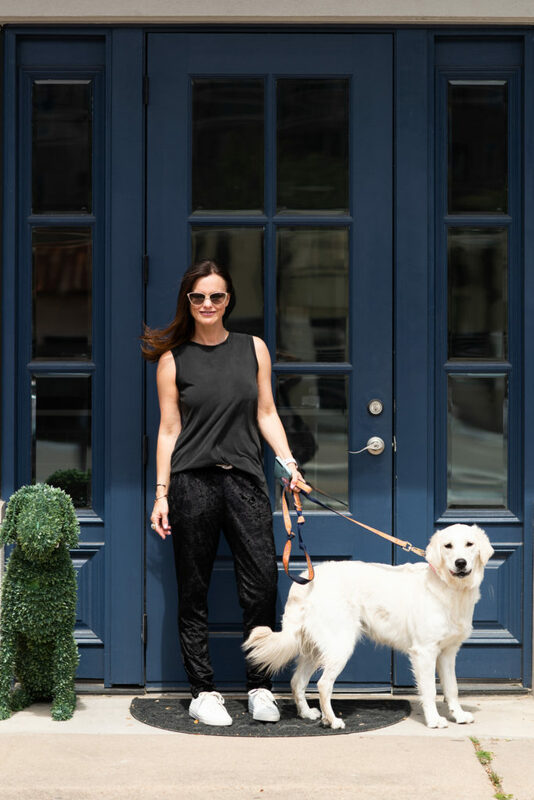 From cushy dog beds to lounge chairs for our furry family’s humans, Dallas Veterinary Clinic is committed to the whole pet and their well-being with a wealth of knowledge and insight on how to raise a happy, well-adjusted pet. Dr. Ashley W. Priddy has years of experience in providing wellness and preventative care. 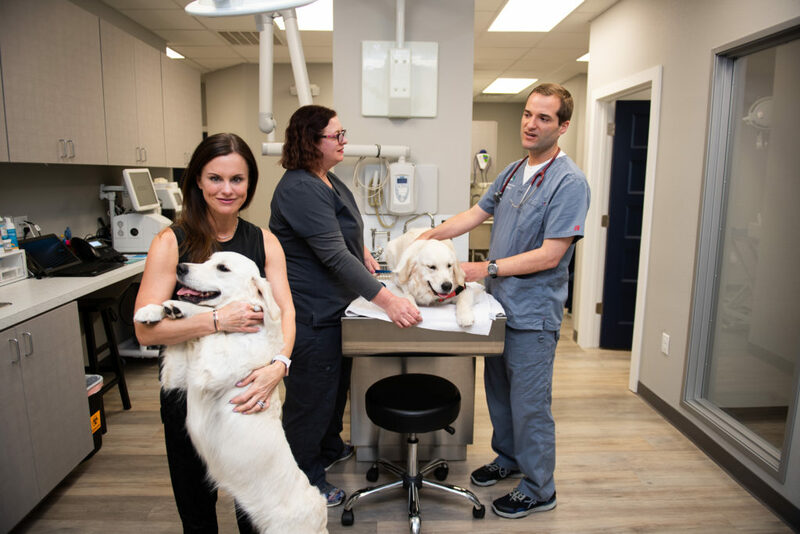 Along with diagnostics, including in-house cytology and pathology, digital imaging, ultrasound, he performs surgical procedures in a high tech, high end surgical environment designed to keep your pet safe and protected. 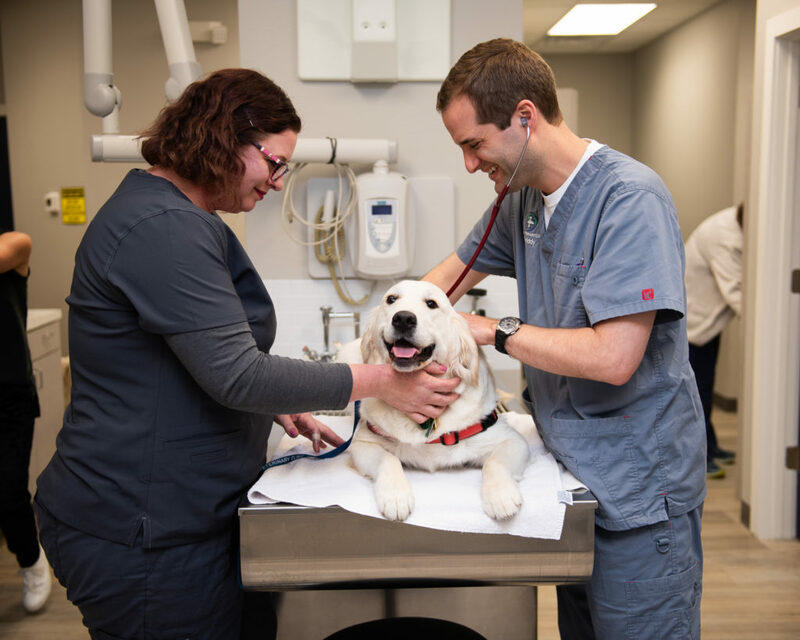 This local full-service animal hospital offers emergency and urgent care services, as well as preventative care and routine medical, surgical and dental care. Dr. Priddy got to know Pearl and her sister, Hazle (who happen to have a playdate six days a week) a little bit and inquired about their history, breeding, diet, and more. Then he gave a quick and thorough examination to make sure everything looked good on these two besties. After that, we took a tour of the newly remolded clinic, and the girls wandered freely from room to room. From the patient rooms, to the surgery area, the dental table and kennels, we saw it all and we were so impressed. 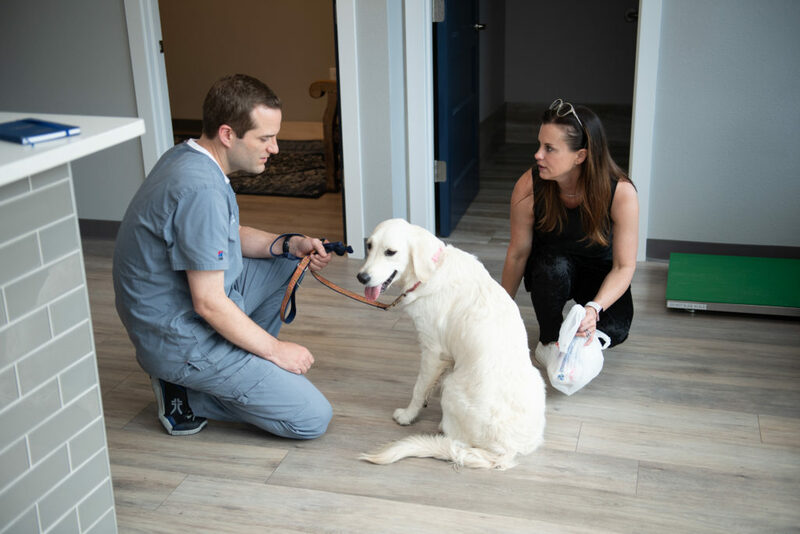 No detail was left unattended, and Dallas Veterinary Clinic has been designed to create an amazing experience for both you and your pet. While these two sweet pups wandered freely through the office, I learned a little about their history, recent move, and remodel. While the precious pups wandered around freely, checking out the sleek office, the friendly staff explained that everything from paint colors, furniture, and music is chosen to have a calming feel and aesthetic to make the experience the best it can be for everyone who walks through the door. The inviting color palette of inviting blues and grey seem soft, gentle and livable, perfect for the anxious pet or pet owner. No detail has gone unnoticed. There are even designated rooms for cats, to keep them separate from all the pups. With pheromones throughout the rooms to help keep kitties calm, cool, and collected, and dogs grounded and secure. 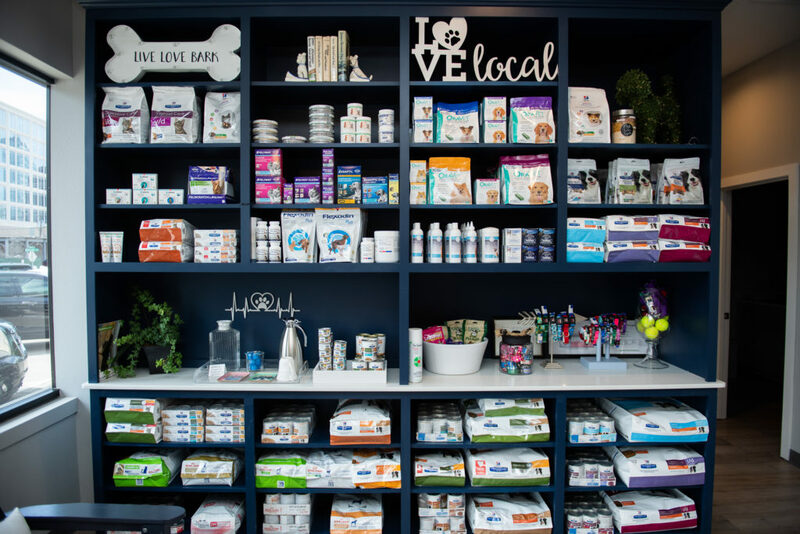 They use Feliway for cats and Adaptil for dogs, which is also available for purchase in their cute boutique area. (Along with fun treats and toys to spoil your sweet pet.) 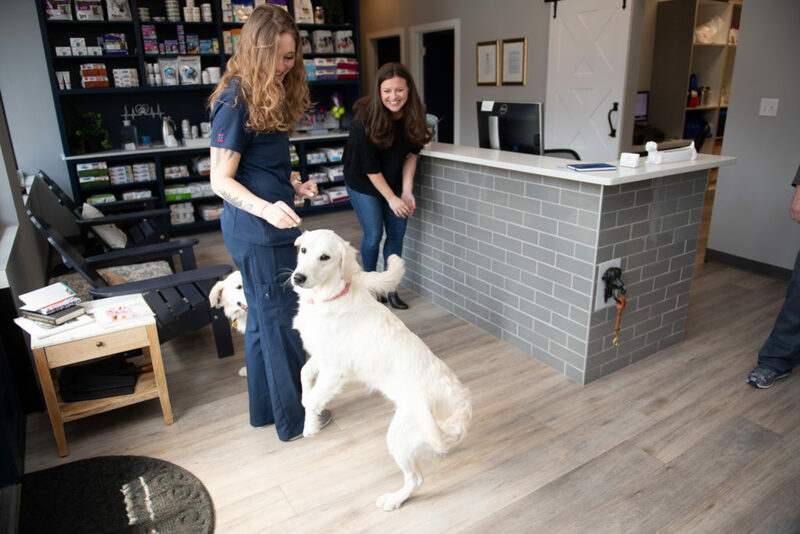 Dallas Vet Clinic actually infuses the pheromones throughout towels, bedding and plug in diffusers to create a soothing environment for your fur babies, and if you haven’t been yet, you need to check out what they can offer your furry family. 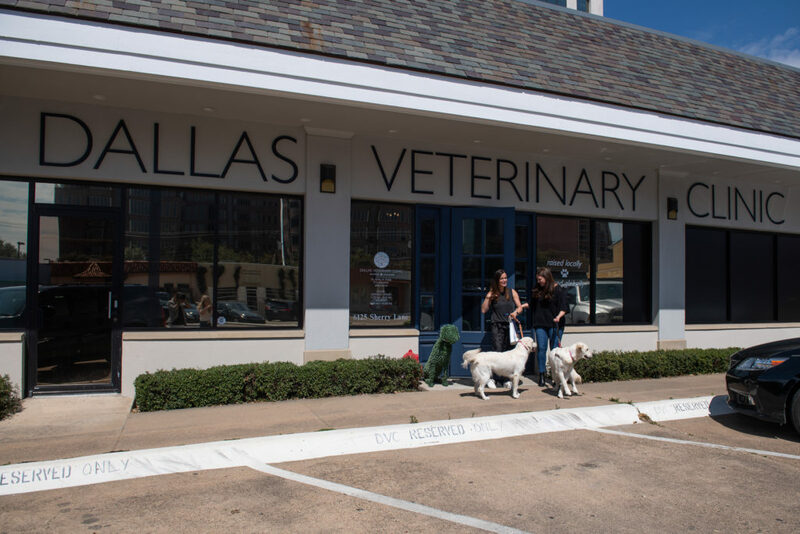 Learn more about Dallas Veterinary Clinic here.